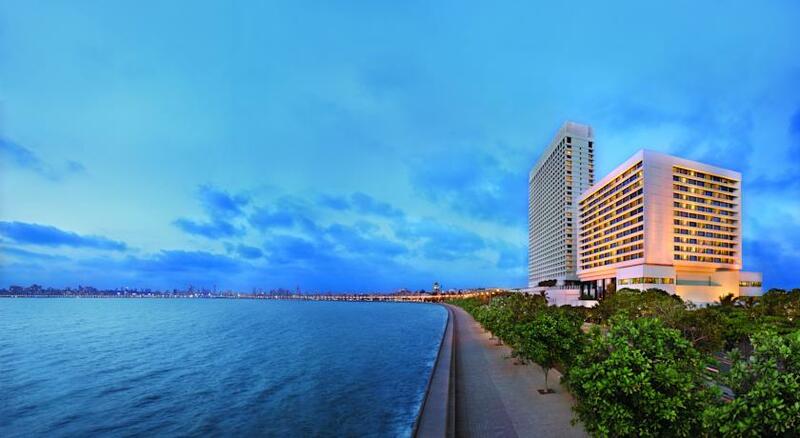 The Grand Hotel Oberoi stands majestically on the shores of the Arabian Sea in the popular business district, Nariman Point of Mumbai. Guarded by the lush green trees, this five star hotel offers a breathtaking oceanic view to enjoy and experience the tranquillity of nature. 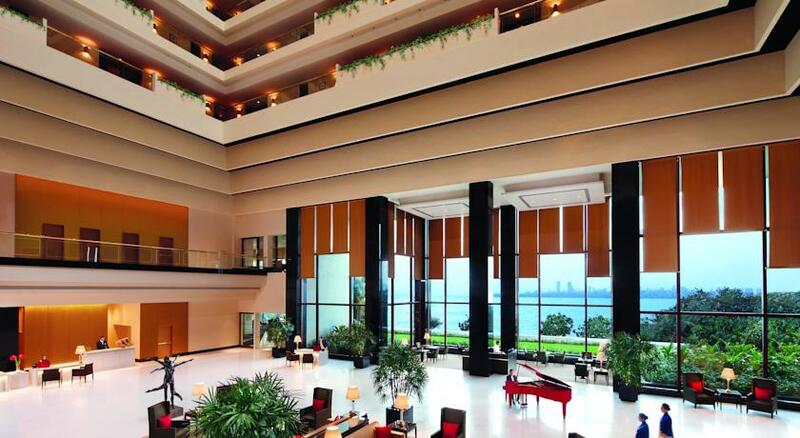 It is only 45 minutes drive away from the New Chatrapati Shivaji International Airport. 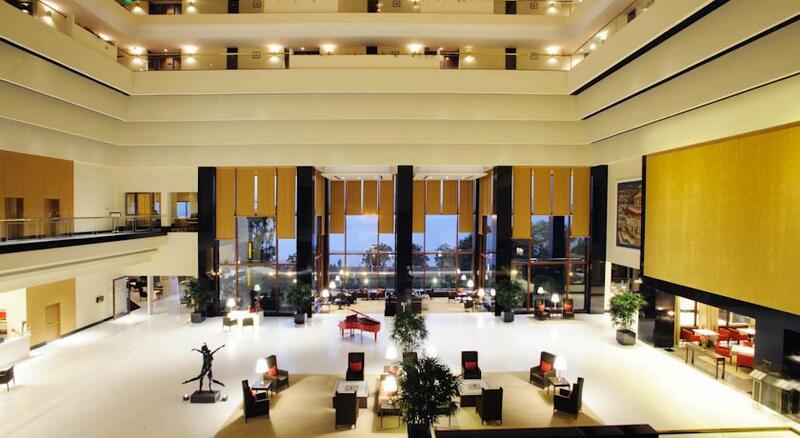 This is a meticulously planned luxurious hotel for the 24 hours business-art service and for the leisure travellers as well. All 214 rooms, 73 suites and meeting rooms are put together very carefully keeping royalty, comfort, elegance and style in closure. 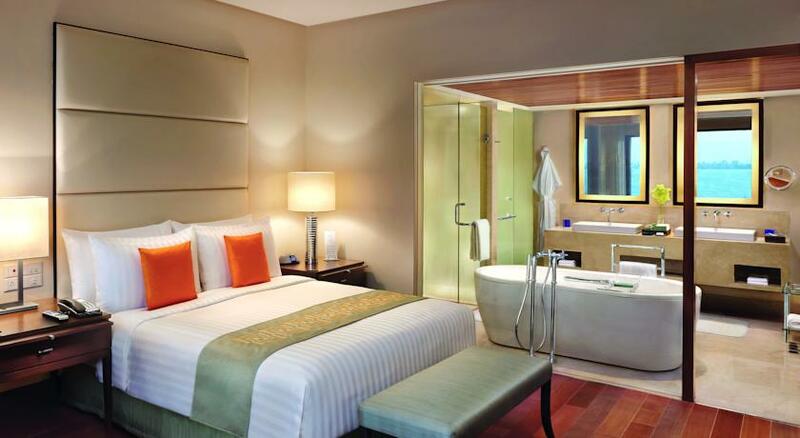 Comfort being one of the main factors The Oberoi facilitates recreational activities like steam room, an outdoor heated swimming pool, fitness club and an award winning 24 hours open Spa for the guests. 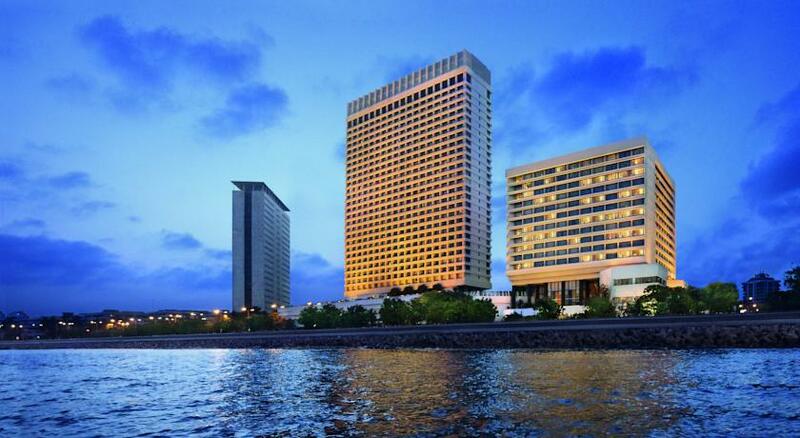 The Oberoi provides great business facilities, luxurious rooms, splendid room services, amazing dining options, shopping arcade, 24 hours butler service and also female chauffeurs for the female guests to show them around the city. The Guests can also request for a private sailboat to enjoy the sunset in the ocean water. Can engage themselves in a cooking session guided by the Chefs of The Oberoi and can also join the evening cocktails followed by dinner designed by the guest and prepared by the personal chef. 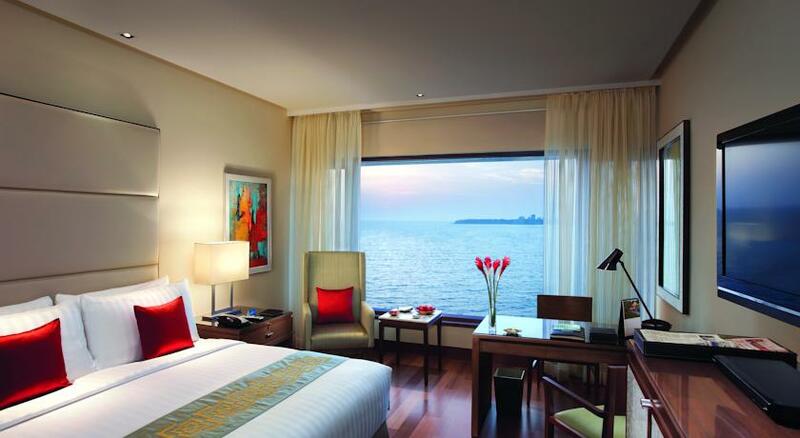 The Deluxe room is spacious and cosy, overlooking the view of the city and the blue ocean. 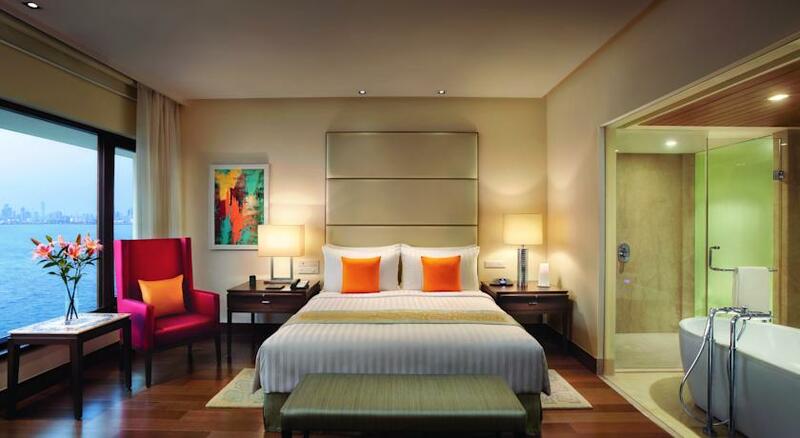 This room has a queen sized plush bed, work desk accompanied by a comfortable chair and a tall classy lamp. A luxurious chesterfield stands woven in pale silk above the dark wooden teak on the floor. The other services provided in the room are newspapers, cable TV, dual phone with speakers and voicemail facility, bedside switches for lights, air conditioner, glass walled bathroom with electronically controlled roller binds, HD television, high speed internet service, fax machine on request, USB chargers, DVD players, Printers on request, silk bathroom robes, silk padded hangers, slippers, hair dryers and tea and coffee making facilities. One can also enjoy the natural daylight in this room. This luxurious room spreads over 400 sq feet showcasing the rich Oakwood on the floor. 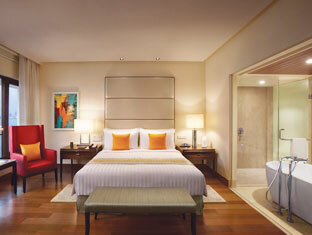 The room is furnished with a walnut desk and a chair, a king sized comfy bed complimented by pleasing bed side tables. The large windows allow natural light to flood in through the beautiful curtains throwing enough light to the bright beautiful seasonal flowers placed in a pretty crystal vase above the centre table. The room services DVD players, cable connected HD TV, private bathroom, tea and coffee maker, station to dock the iPod, the use of fax and printer on request, phone connections with dual speaker and voicemail system, Wi-Fi connection, hair dryers, shaving machines, charger points, bathroom silk robes, slippers, towels and silk padded hangers. 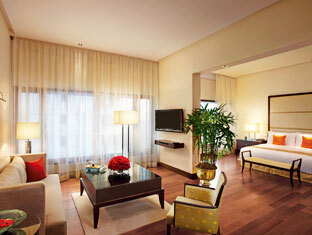 This Beautiful Premier room covers an area of 400 sq feet. It has a King sized bed with light switch boards close by, side tables and a wing chair to offer for a comfortable stay. A handsome desk and a chair that occupies some part of the room can be used for work or study. 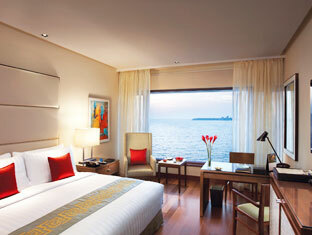 Besides these, the room has clear oversized windows for the panoramic view of the Indian Ocean. 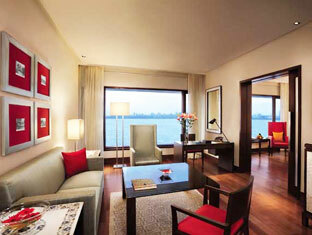 The silk vermillion cushions could be of good use to lean back and enjoy the scenery. Guests in this room can make use of the alluring facilities provided by The Oberoi such as the high speed Wireless Internet connection, phone service, High Definition Television accompanied by DVD players and in house Movie rentals; coffee and tea maker, hair dryer, shaving machines, newspapers, glass walled private bathroom, silk robe, slippers, printers and fax if required and of course the 24 hours butler service and dining service. This handsome suite is of 800 sq feet with dark shiny teak flooring. 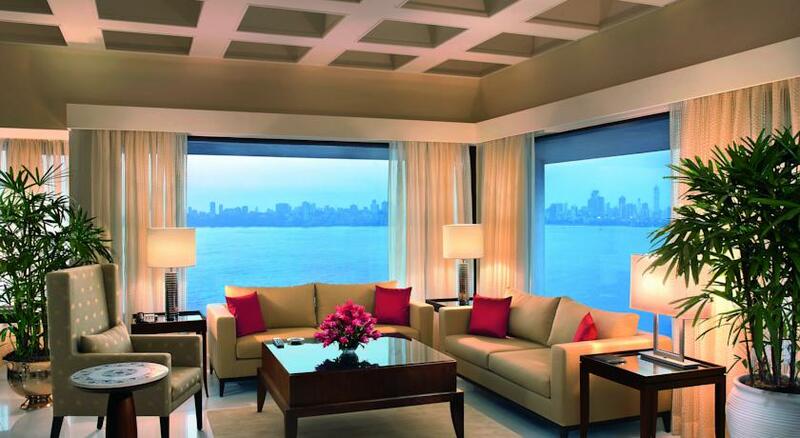 A King sized bed with tables on its side, a separate living area, a single seated wing chair, a work place with a desk-chair and a fancy coffee table welcomes the guests for a convenient pleasing stay at The Oberoi. The colour of this suite is mild and elegant but the hints of red and orange cushions or the colourful oil paintings on the wall justifies the mildness of the room perfectly. An elegant settee also plays a magnificent role in contributing towards this immaculate Executive suite. A 40-inches tall High Definition LCD dominates the wall with a dark mahogany cabinet standing below it. 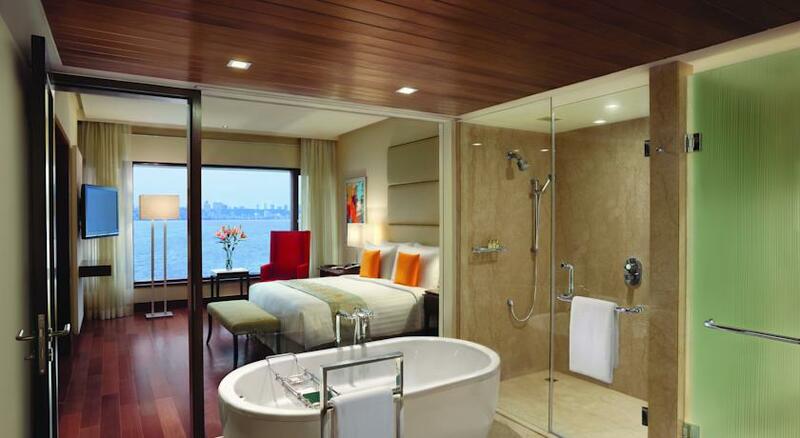 This room also has the luxury of a glass walled marble floored bath. The glass walls can be electronically shut down for privacy. A separate shower, a sunken tub, a double vanity closet and 17 inches tall LCD occupies the bathroom. Apart from these the basic facilities like robes, hangers, slippers, and hairdryers, shaving machine for the bath; a self controllable AC, a DVD player, newspapers, USB chargers, iPod docking stations, Wi-Fi connectivity, movie on rent for entertainment and tea and coffee maker for beverages too are available. This suite has a swanky bedroom with a plush king sized bed with a leather clad head board, side tables, work table and a chair. 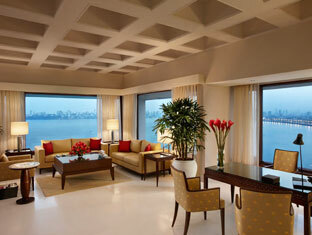 A fancy and royal touch of interiors cover the separate living room of this suite. Rich sofas, centre table and fresh colourful flowers like lilies, sunflowers and orchids enhances the ambience of the room; and the bright & beautiful scarlet silken cushions seductively heightens the palatial beauty of this suite. 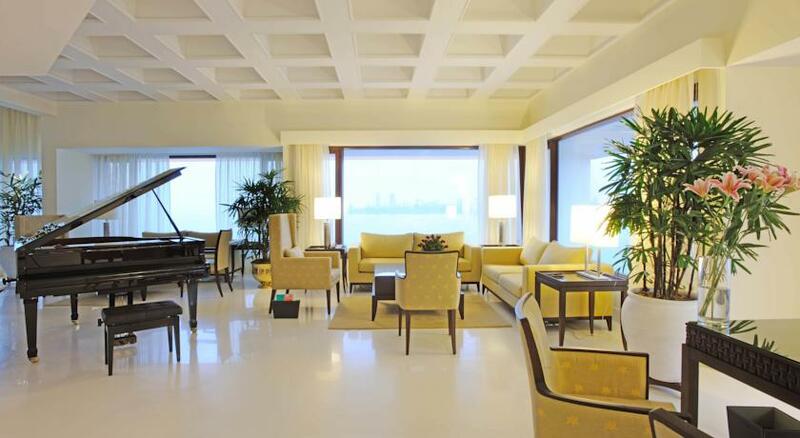 This contemporary art style of Oberoi doesn’t end right here, it allows the guests to explore all the modern facilities like, HD TV, DVD players, iPod docking station, charger points, laptops on request, fax and printers on request, Wireless Internet connection, AC and beverage maker. A luxurious personal bathroom with a separate shower, double vanity case, 17 inches tall LCD, silk robes, hairdryers and a stand-up tub can also be explored. With all these comes the best opportunity of viewing the majestic Indian Ocean stand at your feet giving profound pleasure to your senses. 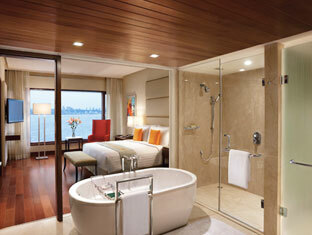 The Deluxe suite spreads over 750 sq feet with a separate bedroom, separate living room and a private bath. The ivory coloured leather headboard, a king sized bed with side tables, an in-built closet, an electronic safe, a big coffee table accompanied by dark Chester brown table and the tall classy lamps cover this magnificent bedroom. The dark teak floor adds more sophistication to the room as it shines by the natural light that drains through the oversized windows in the bedroom and the living room both. A guest powder room next to the living room is also one of the additional facilities in this suite. One can overview the picturesque beauty of the ocean undisturbed. The fusion of rich sombre couches and the bright cherry cushions add life to the living room accompanied by the beautiful seasonal flower spreading its fragrance all over the suite. A 40 inches tall LCD stands above the pearl encrusted charming safe. The convenience of TV, DVD player, Laptop on request, Fax & Printer, Dual line speakers with voicemail system highlights the modern technological comfort for Tech Savvy guests. The private glass barred bathroom has facilities of enjoying a separate shower, a tub, watching programmes in 17 inches tall LCD, a private double vanity case and beautiful silk robes. 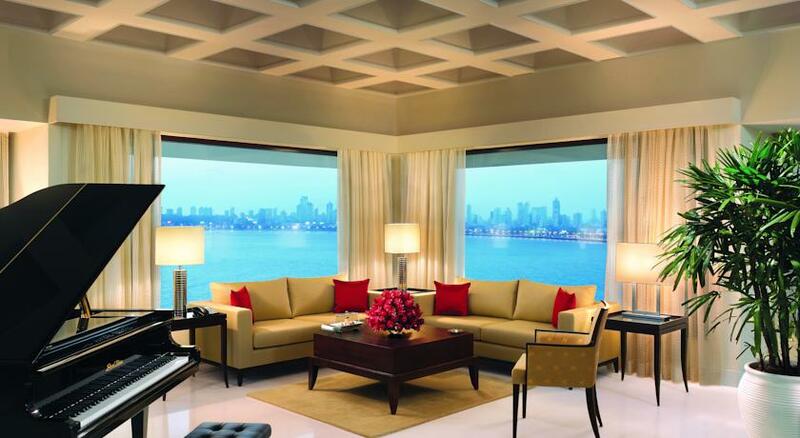 This Porsche suite covers an area of 870 sq feet. Each furniture, centre pieces and show pieces are very carefully selected to match with the elegance and the standards of the guests at The Oberoi. 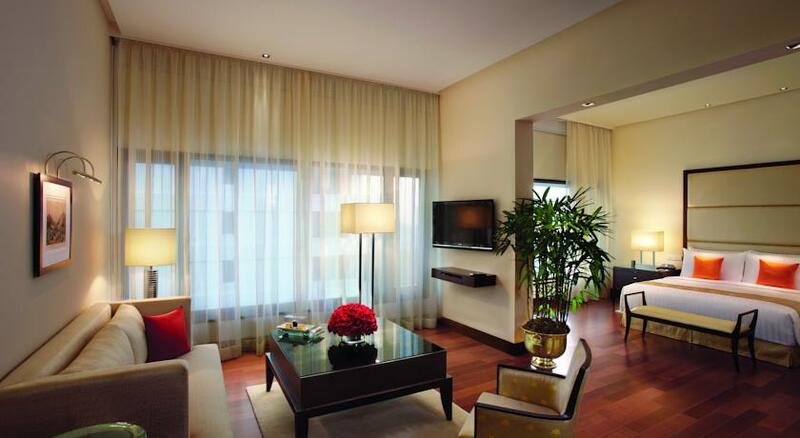 This beautifully decorated Premier suite has a separate living room, a spacious dining room and a plush bedroom. 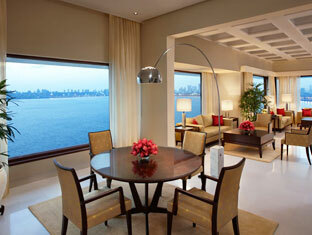 All these rooms has ceiling to floor windows for the guests to enjoy the scenic beauty of the ocean. It also has a four fixture marbled bathroom with facilities of tubs, separate showers, double vanity case and toiletries. Each room in this suite has huge HD TV for entertainment, complimented by DVD players, Laptops on request, Wireless Internet connections. This suite also has an additional room off the living room which can be used as a powder room for the guests. 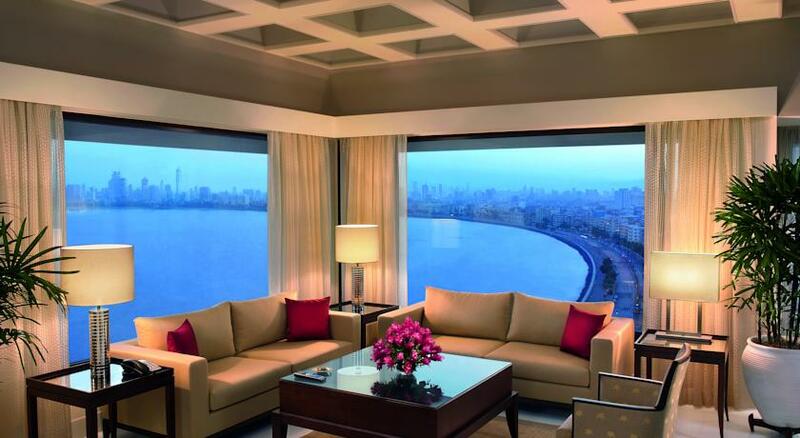 The Kohinoor Suite on the 21st floor and The Golconda Suite on the 20th floor are the two Presidential Suites at The Oberoi. Both the suites are grand, stylish, and elegant; and each equipped with all possible modern technologies like High Definition TV, DVD players, Wi-Fi Connectivity. Each suite has a master bedroom, a separate work space, a living room, dining room with a pantry area and a four fixture desirable bathroom. The suite also has a treadmill and an additional guest room. Both have facilities of self controlling AC, Laptops on request, and Fax & Printer on request. 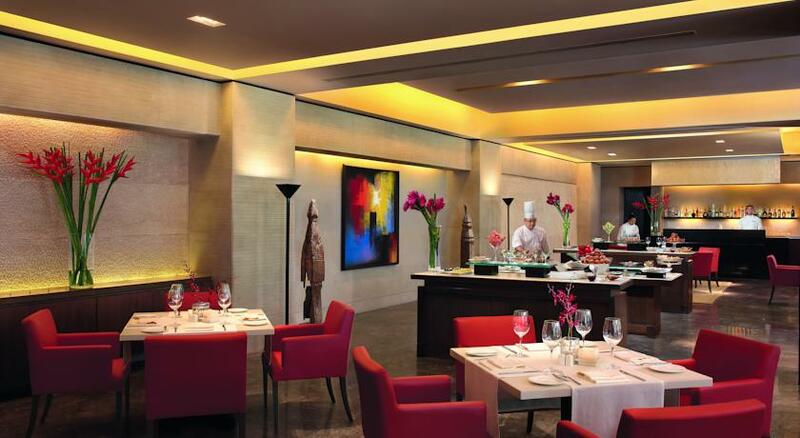 The Fenix at The Oberoi is 24 hours open Restaurant with spacious, warm and great taste of interior factors. It serves international delicacies which can keep you wanting for more and fixes special breakfast, lunch and dinner as well. On Sundays one can also enjoy the unlimited complimentary premium champagne with brunch. This Fenix is popular for its live sushi bar which offers over 80 varieties of sashimi and sushi along with other traditional Japanese delicacies. The Vetro is an Italian restaurant with great seating arrangements and a sombre environment. The colourful wall interior is a nice piece of art to look at while you enjoy the food and the drinks. 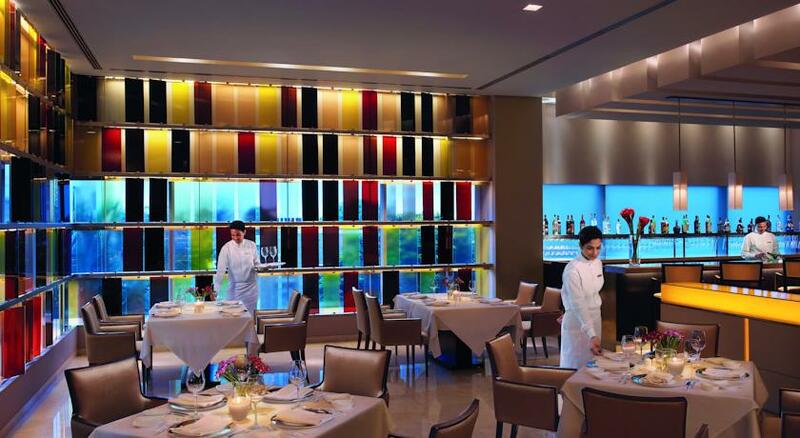 This restaurant is popular for its Italian Cuisines like Pasta, Risotto, sea foods, soups and meats. It is mostly famous for its in house Wine Library called the ‘Enoteca’ which stores of about 800 bottles of fine and rich wines from all over the world. The restaurant also fixes a nice afternoon setting for the corporate guests and the leisure travellers. 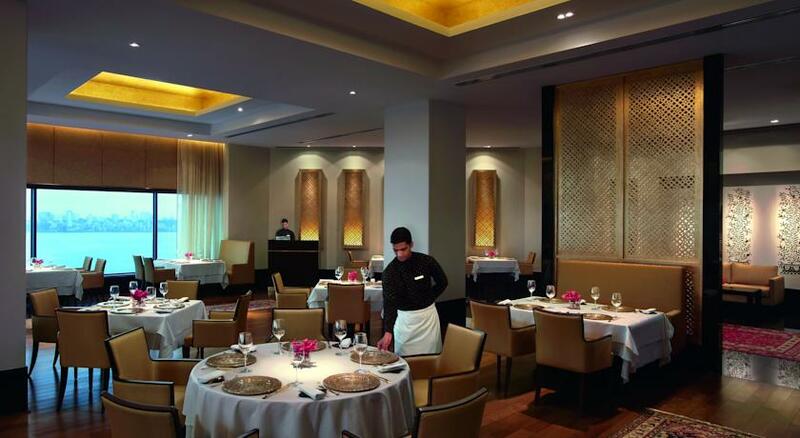 This Simple and elegant Indian restaurant at The Oberoi is leaded by the Chef Vineet Bhatia. The lighting system in this restaurant is pretty amazing for an ideal dinner. The brilliant light gives immense serenity and joy to the mind like the foods here does to the heart. The glowing lights of the restaurant and the view of the ocean create a very happy ambience. The best part about this restaurant is the fusion of Indian cuisines with International ingredients served for a happy appetite. ‘Eau Bar’ meaning ‘Fresh Water’ this restaurant is famous for beverages. 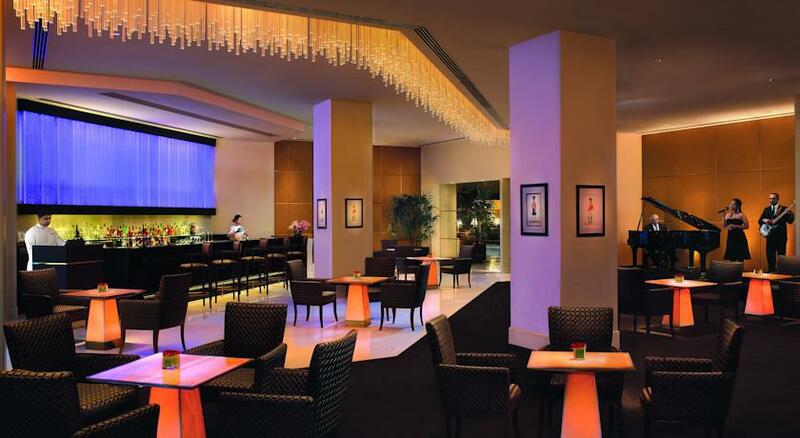 The restaurant is an art of Lit Greek Thasus marble facing the majestic Arabian Sea. Along with the splendid lighting, the crystal chandelier too is a great piece of art to admire. Great varieties of Champagne, creative cocktails, single malts, wine and other liquors are served in special hand crafted glassware. 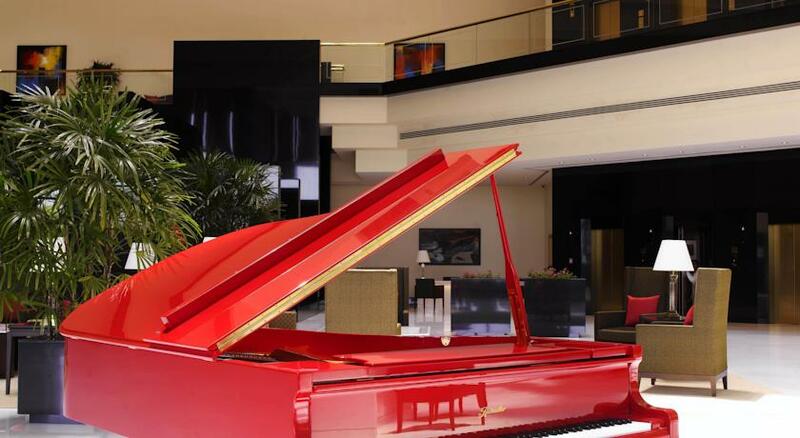 The Live Band performance in the Eau Bar sets the mood right for a lovely evening; one can enjoy the modern jazz and cool blues and request their favourite songs as well. This Lounge has a variety of beverages to offer but is very popular for tea, coffee and champagne. It serves elegant afternoon tea which can be selected by the guests. The order ranges from Indian tea coffee to International varieties. 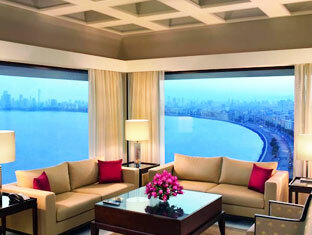 It also serves the special Oberoi signature Teas and The Oberoi Blend aaccompanied with cakes and pastries. And just like its name suggests, the Champagne Lounge offers a wide varieties of Champagnes along with mouth watering delicious snacks. This Patisserie is located at the Oberoi shopping centre. It offers freshly store baked delicate cakes, pastries, pralines, breads, croissants, muffins, brioches, sandwich, puffs, quiches and light meals. Beverages like coffee, tea and water is available. Apart from these the store also has International Wine options from places like Australia, France, Italy, Chile and California.